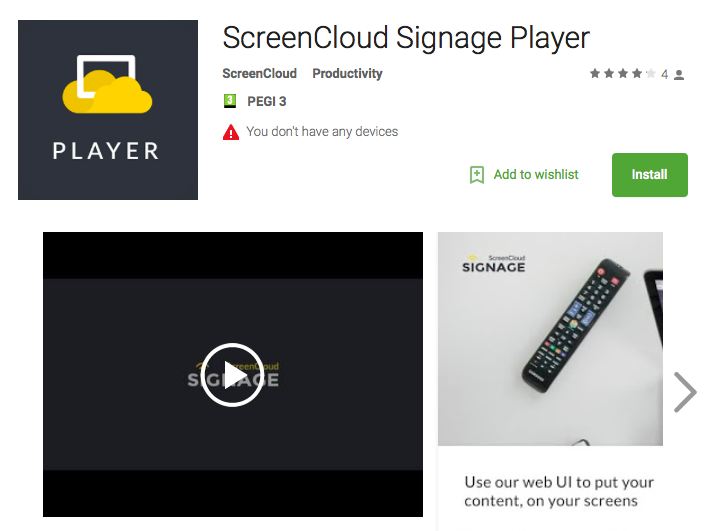 Everything you need to know about setting up your Android TV with ScreenCloud digital signage! Remember when you used to buy a new TV, what a huge decision it was? How you would agonize over the size, the spec and the special features. 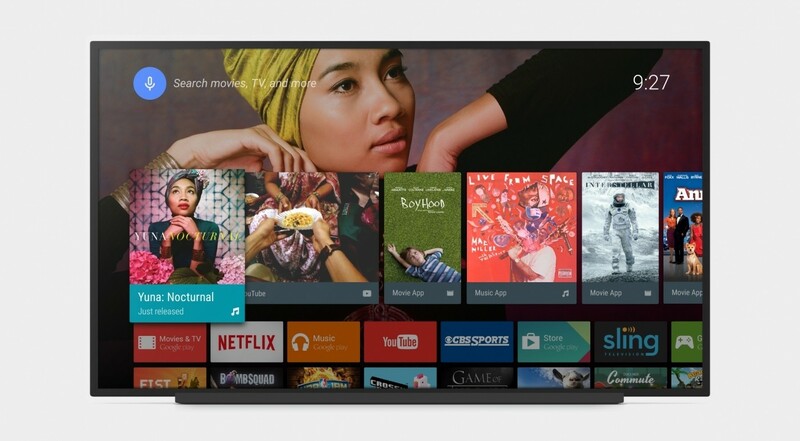 Well, when it comes to digital signage an Android TV is a great choice. It has everything you need to get setup with a rich digital signage display - no additional hardware needed. The beauty of a cloud-based digital signage system (like ScreenCloud) is that there are no wires, no cables and no expensive media players needed. As long as you have a ‘smart’ TV (which is essentially what an Android TV is) then you have everything you need to get started. In this guide, we’ll walk you through how to setup your Android TV and get rich digital content showing in mere minutes. Oh and if you haven’t bought your Android TV yet, then we can point you to Amazon where there are a ton of Android TV and box choices, just perfect for digital signage. Load up your Android TV and connect it to Wi-Fi - you may even be connected already as your monitor will walk you through the steps on setup that enable it to be ‘smart’. Open up the App Store on your Android TV and download the ScreenCloud Signage Player app for Android. Launch the app on your Android TV and make a note of the pairing code that comes up. This is what you’ll use to match up your Android TV and your web based ScreenCloud account. You’ll only need to do this once per screen and you can add as many TV monitors as you like to your one account. Next, click the ‘add screen’ box. This is where you’ll enter the pairing code to connect your Android TV and the account where you’ll manage your content. After this has been entered that’s it! You’re synced up and able to control your Android TV from the laptop in front of you - regardless of where you are! Digital signage and your Android TV = simple! Has it ever been that simple to connect a TV to digital signage? We’re not sure, but we know that it takes even the least technical of folks just minutes to connect ScreenCloud and begin showing their content onto an Android TV. 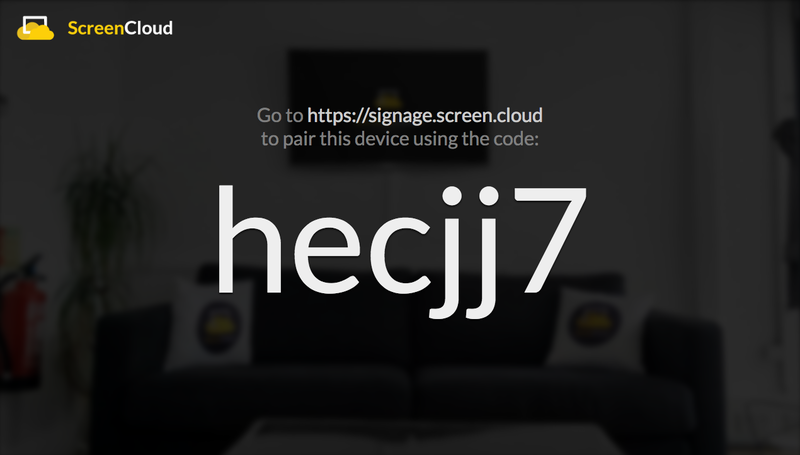 If you have more than one TV that you’d like to show digital signage on, you can follow exactly the same steps within the same ScreenCloud account. By naming each screen and adding them to groups, it’s easy to segment different content for different screens, then add playlists and scheduling. Now we move on to what many call the ‘creative’ or ‘fun’ part. Making great content! Here, you have a ton of choices. You can upload your own content including PDFs, images and videos, or you can head over to our App Store and choose from a crazy amount of choices. Once you’ve hand-selected your content it’s time to set up your playlists and schedules. With drag and drop you can order your content however you wish and time it accordingly. Perhaps you show a social media dashboard for the first two hours of the day, followed by news at lunchtime and special offers and advertising showreels in the afternoon. Once you have a playlist that’s working for your business, you can set it up into a schedule. Highlight the areas you wish to cover (Monday-Sunday, any time of day from dawn to midnight) and select that playlist to play at that time. It really is that easy. Select your content, set up a playlist and drop it into your schedule. Before you know it, you’re powering up your Android TV as a powerful sales tool and digital sign, designed to promote your business. Ready to get started? Grab your Android TV and let’s go!